While many people and the media portray the horrors of battle as the most traumatic and psychologically scarring aspect of military service, for many it is not. Tens of thousands of women and men leave the service having been sexually traumatized. In fact, over 20,000 service members were sexually assaulted in 2014 alone. And, usually out of fear of retribution or shame, far too few of these victims seek the counseling, medical treatment, and care they need and deserve. In fact, 85 percent of sexual abuse cases in the military go unreported, which may have something to do with the fact that one in seven victims was assaulted by a person in their chain of command, according to Protect Our Defenders. If you were sexually abused in the military, there are legal options for you to pursue, however. 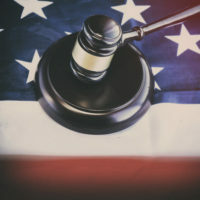 While medical treatment is available to any veteran who was sexually abused during service, even if they did not report it at the time, veteran benefits are harder to procure, and require the assistance of an experienced White Plains, New York attorney. What is Sexual Abuse or Military Sexual Trauma? Unwanted and threatening sexual advances. Simply being raped while in the military is unfortunately not “enough” to be considered for veteran disability benefits. There must also be documentation of post-traumatic stress disorder (PTSD), anxiety, depression, panic attacks, or substance abuse that has been caused by the sexual trauma you experienced in the military. Through VA medical screening, data has revealed that one in 100 men and one in four women experienced military sexual trauma. Common disabling problems that many of these victims experience include PTSD, anxiety, trouble keeping friends or jobs, difficulty sleeping, health problems, poor memory and concentration, feelings of numbness, alcohol or drug abuse, and unfortunately even more. The first step in receiving benefits, aside from being diagnosed with MST and a disabling condition, is to contact an attorney. If you experienced sexual assault or harassment during your military service, contact a White Plains attorney today with the Law Office of Michael Lawrence Varon. We are prepared to help you throughout each step of your case.